There is so much information out there on climate change these days – whether news articles, videos or visualizations of our changing world. Here we highlight some of the most interesting, informative or thought provoking links that we have found. New & Highlighted Cool Stuff! This article, published by the popular search network, MSN, lists 20 places around the world you should visit before they are lost to the negative effects of climate change. Feeling discouraged about the future of the planet? 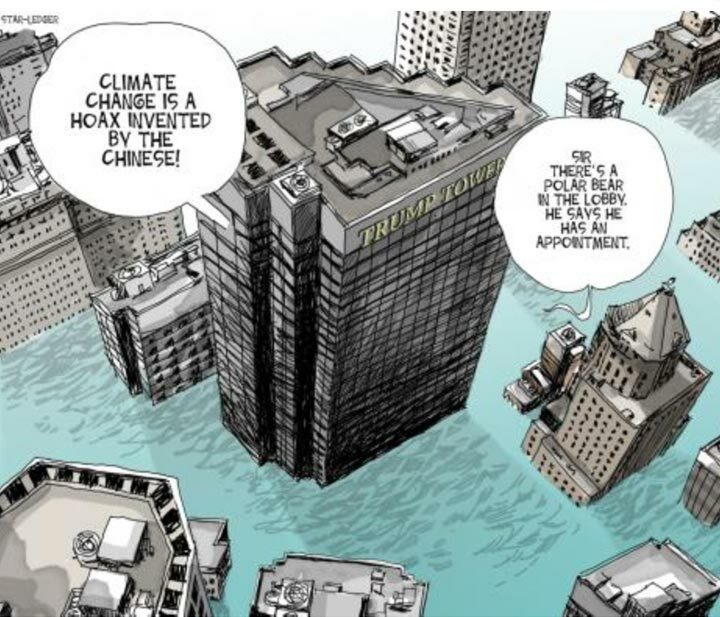 Lighten the mood with these climate change cartoons! This series of visualizations shows how the Earth’s climate has changed over time, by examining key climate indicators. The sea level is rising, so what? See the impacts to natural landscapes and shoreline communities to answer that question. 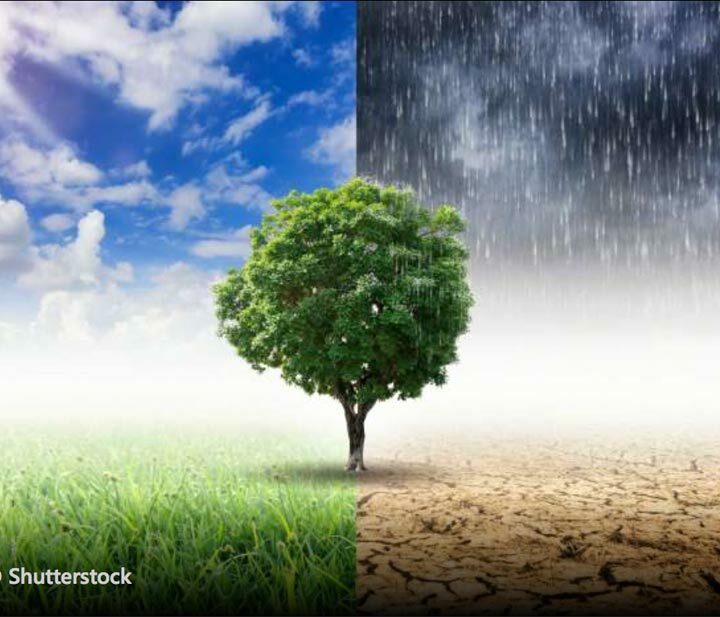 Check out these great links for activities on climate and weather. Lots of fun learning activities. Check out these map and image services from CT ECO, showing the most recent data on topics ranging anywhere from elevation to political boundaries! Ahead of the Tide: Sea Level Rise is a mini documentary series based in Florida, which is known as ‘ground zero’ for climate change. Among those interviewed are municipal officials, climatologists, and locals who discuss the various issues that rising sea levels bring. This article, By Jeffrey Masters, Ph.D. - Director of Meteorology at Weather Underground, Inc. - discusses the ins and outs of storm surge, from the science behind what causes these devastating sea strikes, to how to best prepare for storm season. This presentation is the outline of a course designed to educate professionals in the field on living shorelines. From the basic dynamics, to the best construction methods this guidebook has it all. 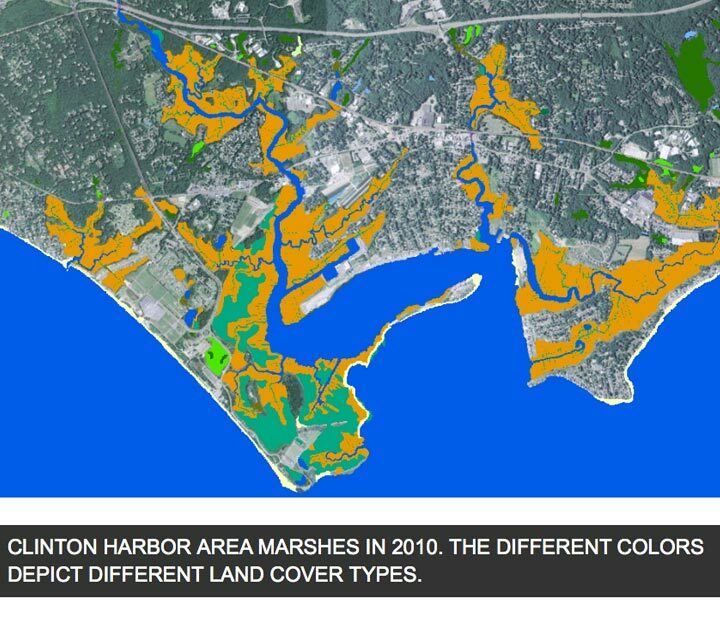 The US Army Corps of Engineers provides numerous tools and reports related to our coastlines. NASA outlines the relationship between the Earth’s Atmosphere by explaining its North Atlantic Aerosols and Marine Ecosystems Study. NAAMES is a five-year NASA-funded study that aims to better define this complex and incredibly important relationship. The ‘Interactive Features’ page of NASA’s Global Climate Change includes incredible modules that offer an inside look into various climate issues with captivating visuals. Learn about the facts and impacts of climate change in a user-involved way. Visit this page to view and download NASA’s mobile apps, to continue to learn about climate change from wherever you are day to day. Don’t just read about the effects global climate change is having on sea level rise, visualize it. NASA makes this a reality with this sea level rise info-graphic that addresses the causes of sea level rise and impacts rising sea levels are having on planet Earth. 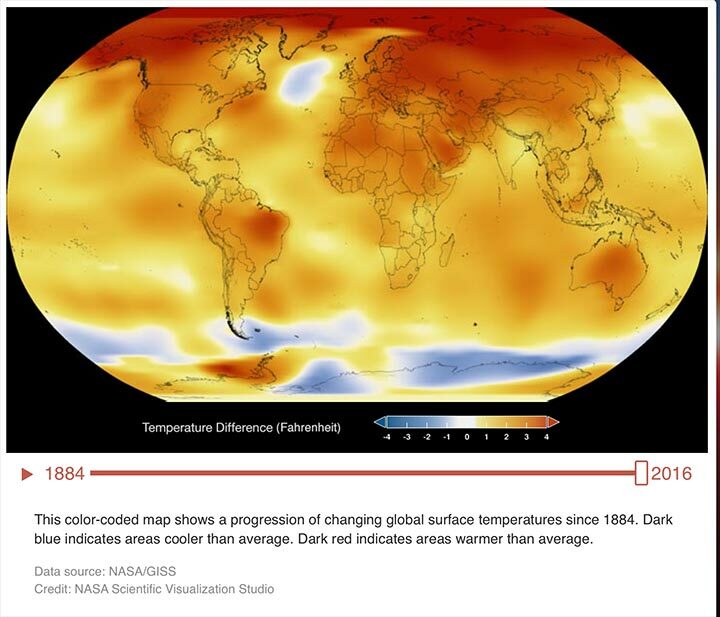 View this excellent visual clip that depicts the warming temperatures seen globally from 1880-2015, and see how global thermometer continues to break its own records. See NASA’s photo collection entitled ‘Images of Change’ to see real life examples of how global climate change is impacting various aspects of life. Visit the US Environmental Protection Agency’s page on climate change to find out how you can do your part to conserve energy and preserve Earth’s environments. With tips for at home, the office, on the road, at school, and more, this page has something for everyone. NOTE: the original page we linked to is now archived, we have updated our link to reflect this change. Watch this short, but informative video on how this thing called climate change is actually working. A perfect tutorial for curious kids and adults alike. The more you know, the easier it is to understand your role in our planet’s climate. What is El Nino? Why do we keep hearing about it? What role does it play in climate change? Find out the answers to these questions and more at climate.gov. Do your kids keep asking you about climate change? Help them learn more by showing them the Climate Kids page offered by NASA! With interactive games and modules, your kids will be climate experts in no time. TED Talks are an amazing way to hear experts in various fields discuss the issues that interest them. See TED’s climate change page to watch all of the talks related to our Earth’s changing climate, discussing topics ranging from big picture climate, to unexpected consequences. Join the movement! Visit the Climate Reality Project to find out how to get involved in climate change activism around the country. Watch this short documentary on the relationship between climate change and America’s lucrative housing development market. Maybe waterfront views are not worth the money in the long run. Are rising sea levels a big deal? Listen to opinions from both sides of the argument. Explore this album of photos from around the world depicting real life consequences of the Earth’s changing climate. See the causes, impacts, and solutions through visual masterpieces that capture just some of the humanizing elements of climate change. This site features research and reporting on climate change. See articles and videos on activism, impacts, and science behind climate change. Also visit their pages from around the world to see climate change from the point of view of some other nations. Watch this visual of Greenland’s ice layers mapped in 3D, and see how the effects of climate change have had an impact over recent years. Watch this short National Geographic documentary to see how the Earth would look under water. With sea levels on the rise see how this is becoming an all too possible reality. Connecticut is among the top 15 states under threat from hurricane storm surge. Find out why. These fantastic interactive images depict how global icons look now, and how they would look under water given the predicted future of the sea levels. These fantastic interactive images depict how American icons look now, and how they would look under water given the predicted future of the sea levels. Check out National Geographic’s photo gallery depicting the real life impacts of sea level rise from around the world. Then check out the rest of the National Geographic website to learn more about the environment. Download the NOAA sea level rise viewer, and use this web mapping tool to visualize community-level impacts from coastal flooding or sea level rise (up to 6 feet above average high tides). Watch this quick video-graphic created by the Center for Environmental Studies to view predicted rise in sea levels. Visit the CT ECO site to view maps and geospatial data for planning, management, education and research in Connecticut. In particular check out their newest feature, LiDAR, which maps the elevation levels for all of Connecticut. Visit NOAA to check out State of the Climate reports, summary information, and monthly climate briefings. Pick a date, and see what the climate looked like then compared to now.